Jouni Uitto, MD, PhD, has been Professor of Dermatology and Cutaneous Biology, and Biochemistry and Molecular Biology, and Chair of the Department of Dermatology and Cutaneous Biology at the Sidney Kimmel Medical College, in Philadelphia, Pennsylvania, since 1986. He is also Director of the Jefferson Institute of Molecular Medicine at Thomas Jefferson University and Co-Director of the Jefferson Center for International Dermatology. He received his MD and PhD degrees from the University of Helsinki, Finland, and completed his residency training in dermatology at Washington University School of Medicine in St. Louis, Missouri. Dr. Uitto is internationally recognized for his research on connective tissue biology and molecular genetics in relation to cutaneous diseases. Dr. Uitto’s publications include 706 original articles in peer-reviewed journals, 337 textbook chapters and review articles, and 1,025 abstracts on presentations at National and International meetings. 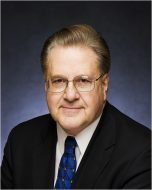 Dr. Uitto has been the recipient of numerous national and international awards, including Honorary Doctorate degrees from the University of Kuopio, University of Oulu and University of Turku, all in Finland, as well as Honorary Professorships in China Medical University, Shenyang, The 4th Military Medical University, Xi’an, and Hebei United University, Tangshan, all in China. In 2012 he was appointed to the membership of The National Academy of Science and Letters of Finland, and he has been honored by Universities and Dermatological Societies in Austria, Brazil, Chile, China, Egypt, Finland, France, Israel, Italy, Malaysia, Malta, Mexico, Poland, Singapore, South Korea, Spain, Sweden, Turkey, the United Kingdom and the United States. Since 1980, Dr. Uitto has served as a mentor of over 140 graduate students, postdoctoral fellows and junior faculty, many of whom are now leading scientists as well as Chairs in their respective fields. Dr. Uitto has held office in several scientific and professional societies, including President of the Society for Investigative Dermatology; and President and Chairman of the Board of Trustees of Dermatology Foundation. Dr. Uitto serves as Section Editor of the Journal of Investigative Dermatology, Associate Editor of the American Journal of Pathology, and he is on the editorial boards of numerous peer-reviewed journals.